Thrifty Nifty Mommy recently had the chance to review the Medi-Pals medication dispensers, she's very happy with how easy they are to use and how quickly her children take their medication or vitamins Be sure to check out her full video review of Medi-Pals to see how these dispensers work. 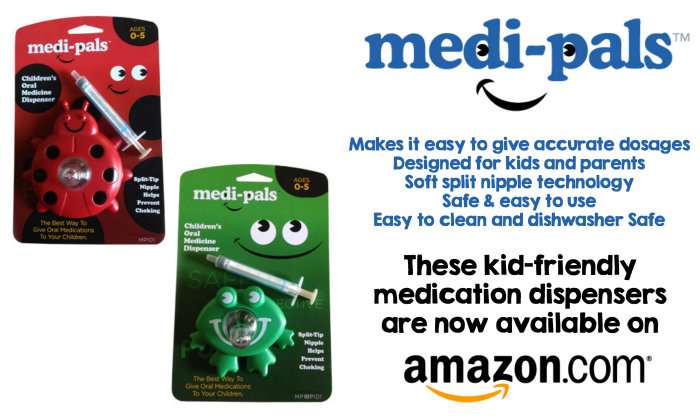 I like medi pals because they look easy to clean and I love that it's dishwasher safe! I'd like to try it because it would make my life much easier!